Jose Fernandez is the owner of a custom Huckins Sportsfisherman with Alexseal eggshell white paint. Jose and his wife were preparing their boat to enjoy the winter months here in South Florida by completing mechanical work, bottom painting and detailing. Upon learning about Glidecoat and our nano ceramic coating, Jose decided to protect his investment. 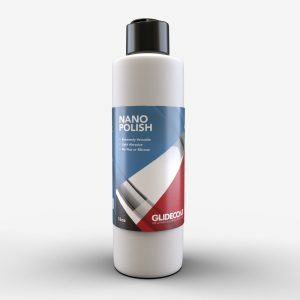 We commonly get asked by boat owners, detailers, manufacturers and other individuals within the industry about how Glidecoat nano ceramic respondes to paint. 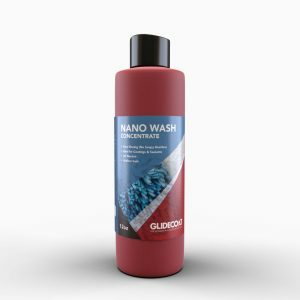 Most people generally understand our nano ceramic coating works well with gel coat because of the porosity of the surface. And, this is the same with paint as paint is porous as well and works perfectly with the Glidecoat nano ceramic. As most boat owners do, Jose was battling whether to take the plunge with a nano ceramic instead of going the usually approach of a buff and wax. When comparing the quotes, the nano ceramic application proposal was approximately 150% higher than the buff and wax job. 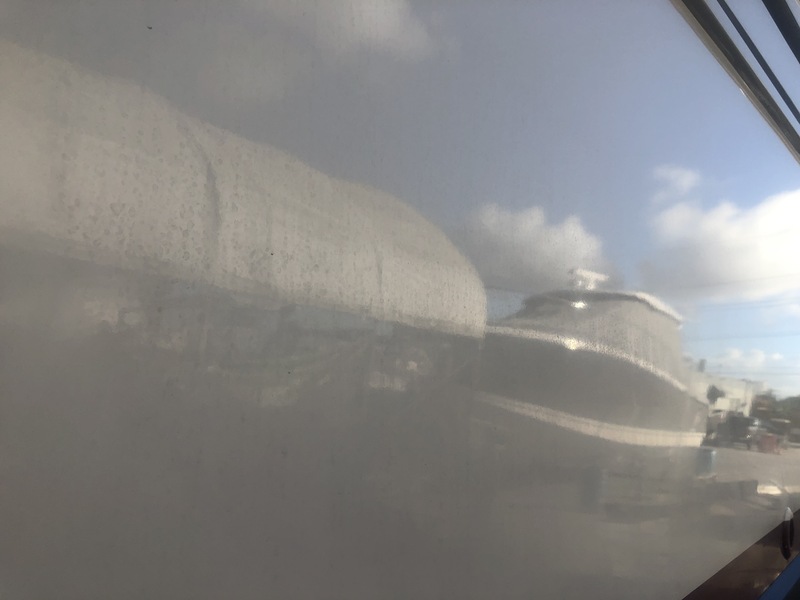 However, as Jose knew from his years of experience when dealing with wax jobs, he would pay for a buff and wax that would need to be completed again in a few months after the wax wore off from the sun and expose to marine conditions. 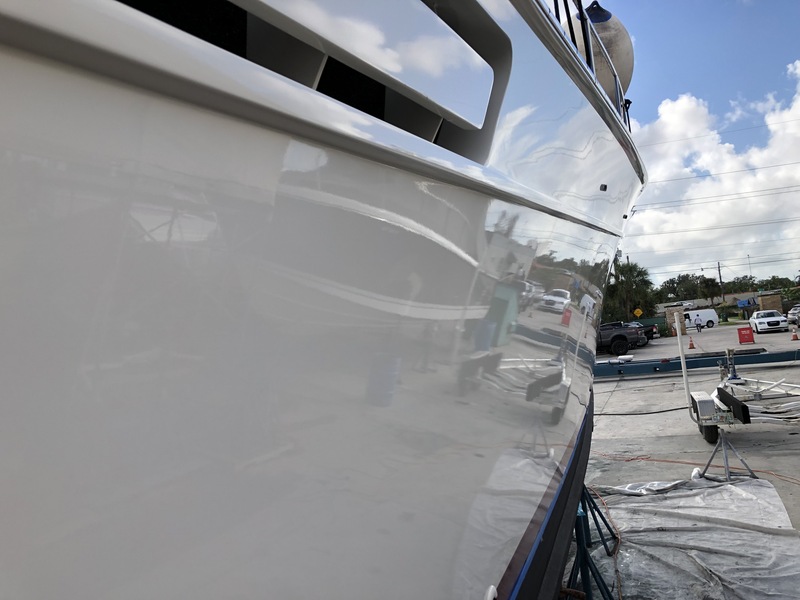 More boat owners like Jose are switching to a nano ceramic coating because of a number of reasons, including the Glidecoat nano ceramic has an 18 month warranty in South Florida. Additionally, over time Jose will be saving money on his boat maintenance, protecting his boat from the harsh marine conditions and restoring his boat to the shine from factory new. During the bottom painting process by the boat yard, the yard had to acid wash a foot above the bottom paint line to remove scum lines, marine growth and rust. 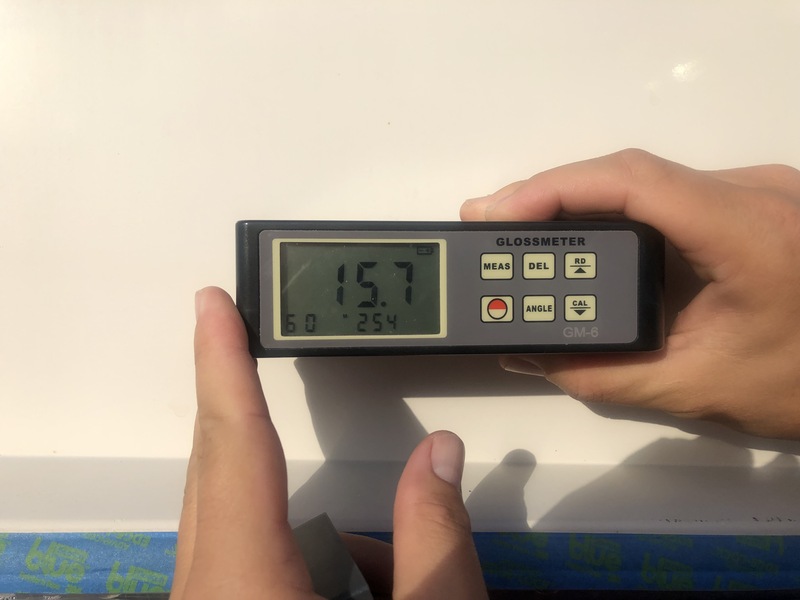 As a result, we saw extremely low gloss meter readings of 15.7 on the hull. Noticeable watermarks were deep in the paint from the lack of protection for the surface. 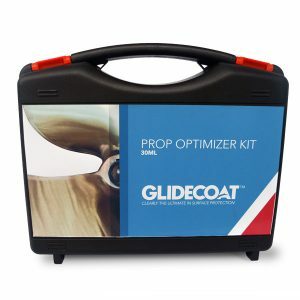 In order to apply the Glidecoat nano ceramic onto the surface, you must complete paint restoration. 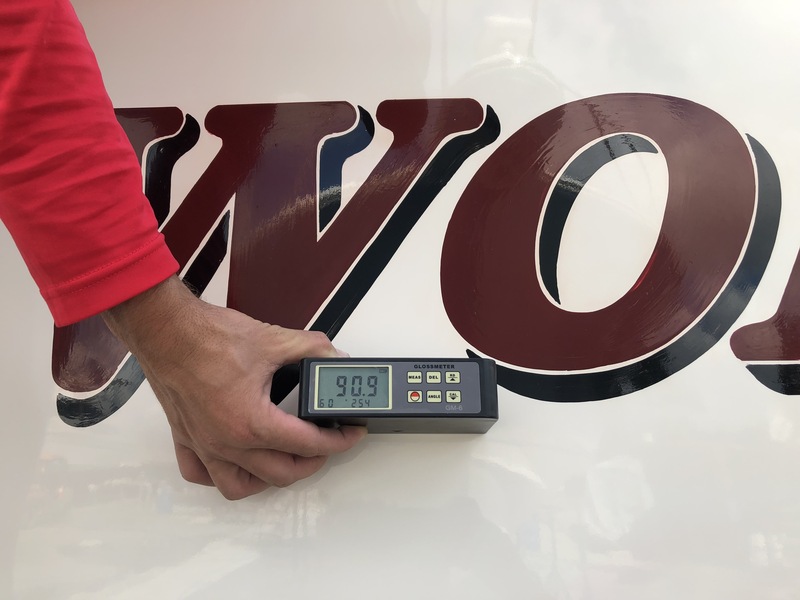 When we get started with any boat, we use a gloss meter to provide us with a numerical measurement of the gloss of the surface. As shown in the picture above, areas along the water line were covered in marine growth, rust and scum lines. The boat yard restored to an acid wash and scrubbing with tough brushes to restore the surface. This process was effective to remove all of the growth and stains off the surface, but, caused a significant drop in the gloss meter readings (15.7) and noticeable scratches in the paint. Considering the hull is painted, we began the restoration process by using a heavy cut compound, a firm foam pad and rotary buffer at 900 rpm’s to remove the hard water marks and oxidization from the surface. 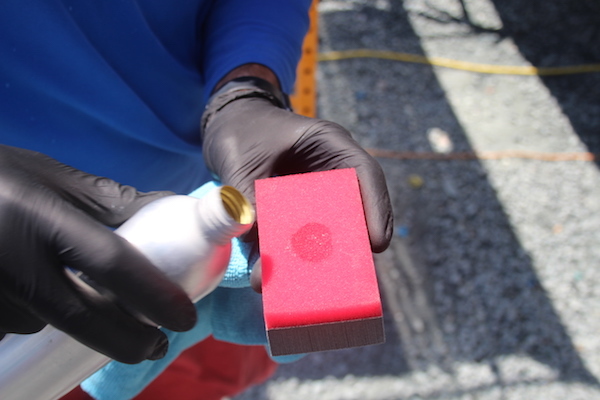 On numerous areas throughout the boat including on the water line, we had to repeat the compound 2 - 3 times to ensure the surface imperfections were properly removed. It’s all in the prep! The next step in the nano ceramic application process was to use Nano Compound with a foam pad at low speed. 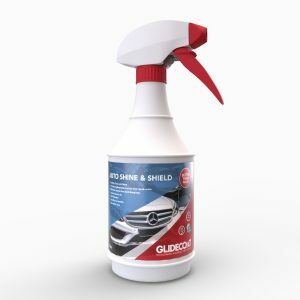 This product is unique because it helps to pull out stains that could not be removed with the cleaners and acids in the washing preparation. It also helped to further restore the shine. 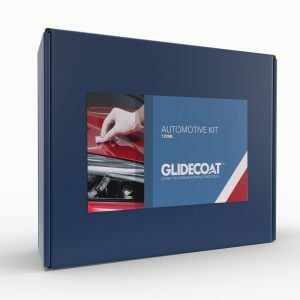 The Glidecoat Nano Ceramic is a five stage process completed by our certified applicators. 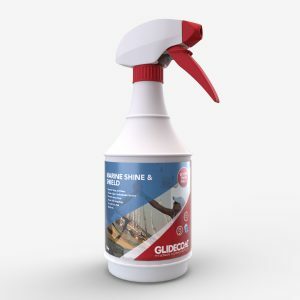 After an initial assessment of the boat, we get started washing and preparing the boat and carefully apply the exclusive line of Glidecoat products. The Professional Nano Ceramic process completely restores your boat’s surface and offers the ultimate protection available. At this point we used Surface Wipe, a denatured alcohol, to wipe off all the areas to be coated. This step removes any further contaminants from the paint and ensures we are working with a clean surface. With the surface now fully prepared and consistent we started the application of our nano ceramic. By applying two coats of our nano ceramic, the coating will fill in all of the pores of the surface and after 8 hours of curing time, will create a protective barrier on the hull to prevent oxidization and hard water marks. A little goes a long way! 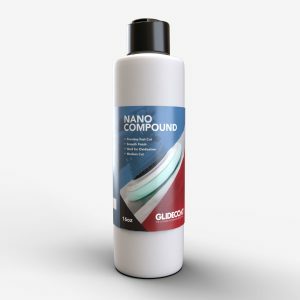 Surprising to your first time using nano ceramic coatings is how a little of product can go a long way. When applying the coating to a 2' by 2' area, you should pour approximately the size of a penny. Once finished, you could see a tremendous transformation. 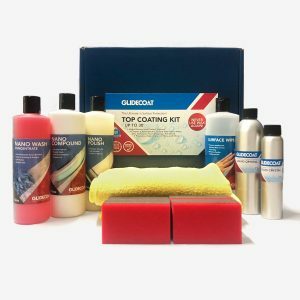 Glidecoat’s Top Coating Kit, will enhance the boat's paint, bringing back not just the shine, but the color as well and protect the finish going forward for a minimum of 18 months without the need for boat wax. In addition, it provides a high degree of UV resistance and makes the surface hydrophobic, so acid rain, fish blood, salt will not be absorbed into the paint, but rinse off with water. Nano ceramic coatings provide a much deeper shine and luster vs traditional wax, giving your boat a show room finish that is better than new! Jose had always used traditional wax on his boats, but after the Glidecoat nano ceramic application he will never go back to wax again! After allowing the coating to cure 8-12 hours we again used the gloss meter. Now readings had climbed from the 15.7 to 90.9 after completing the five (5) stage process and applying our nano ceramic. To provide you with a frame of reference, brand new paint out of the factory will render gloss meter readings from 82-88. The eggshell white painted hull with glossy finish that you can perfectly see the reflection of a boat and trailer nearby.